Our motto is “If Water Goes Through It, We Do It!” – and we mean it. 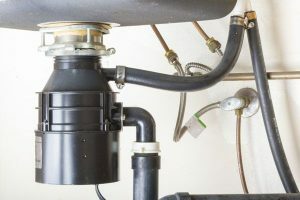 We’ve been in the plumbing industry in Orange County for over three decades, and you better believe that we’ve seen it all. From the smallest water leak to full system repipes, we’re prepared to handle every job responsibly, quickly, and affordably. The next time you have to call a plumber, call Splash Plumbing in Orange County. You won’t regret it. We respect your time and never waste it - our repairs are done fast! No hidden fees or last minute add-ons - we’ll let you know if there’s a cheaper repair! Got a question? We’ve got answers, and we’d love to share them with you. Just ask! You can trust us for your plumbing needs when you're having a large or small issue. Count on us! We are able to tackle every angle of your plumbing, from leak detection to faucet repairs and more. We don’t mess around when choosing who becomes part of our Orange County plumbing team. We hand pick every team member, ensuring that he or she upholds our company values and high standards in quality and attitude. Every plumber is certified, licensed, and insured to work on your plumbing, whether it’s residential or commercial. We have a strict drug free policy with our employees, ensuring that your safety is never at risk. Sick of late plumbers? You won’t have to worry about that with our Anaheim plumbers. We enforce a strict on-time policy so your time is never wasted. Ever had a question for your plumber, but were too afraid to ask? You don’t have to be afraid around us. Our plumbers are friendly and willing to answer any and all of your questions. We always arrive at your home or business with tools in hand, ready to get to work on your plumbing repairs. This eliminates time wasted going back to grab necessary tools. Every plumber on our team is an expert in the plumbing industry. They’ve passed all the tests, and are constantly gaining new knowledge via ongoing training courses. 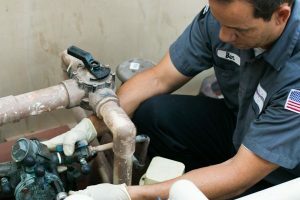 We’ve been helping our Orange County neighbors with backflow testing and repair for over a decade. Hot water is a phone call away. We’ll get your hot water heater repaired or installed quickly. We’re ready to help with monthly repairs and multiple unit repairs. Count on us when your tenants are in need of help. I would like to commend you and the members of your staff for your extreme professionalism, prompt attention to detail and follow up after the job had been completed. The honesty and integrity of you and your staff members for the past ten years are the basis for what we expect to be a long and mutually satisfying relationship. I would encourage anyone looking for quality workmanship to utilize the extremely diverse plumbing services that Splash Plumbing provides. Kevin Franklin | President | OCBS Inc.
For the past 6 years I have been the maintenance director for an 80 room Assisted Living Senior Community. As with any building with that many residents, we have our share of plumbing issues. Splash Plumbing is my preferred plumbing professional for resolving these issues. Over the years I have worked with each and every member of the Splash team and they are professional, knowledgeable, very helpful and honest. Weather it is a clogged toilet or a stopped up main line, the Splash team has arrived on time and with the parts and tools needed to repair the problem. The team at Splash comes prepared to do the job and stays until it is finished. 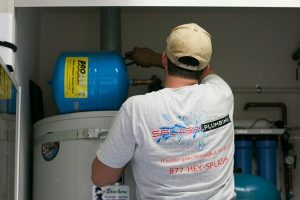 The Splash Plumbing team is professional, courteous, and remains focused on the client's needs. Splash Plumbing understands the challenges facing systems from a neighborhood home to a downtown high rise. Splash has always responded on any emergency plumbing job we have called them on quickly and with a fully stocked truck. This saves on the crew having to run to the store on every job we have. The crew is always in uniform and polite and courteous to all of our customer’s. They get it done correctly the first time! Ready for any plumbing emergency in Orange County.